Belén de Escobar is made up by the following areas: Ingeniero Maschwitz, Escobar, Maquinista Savio, Matheu and Garin. Belén de Escobar is located in Northern Greater Buenos Aires, 32 km away from the City of Buenos Aires. The Escobar area was fouded on October 8, 1959, made up of land formerly part of Pilar and Tigre. The town of Belen was designated as the districts center, and one year later the town was declared a city, its name changing to just Escobar. Half way through the 20:th century the cultivation of fruits and vegetables were the main pillars of Escobar's economy, and the district was also one of the main producers of flowers in the country. This motivated its inhabitants to create a festivity called "Fiesta de la Flor" (The Party of the Flower), it was such a success that Escobar came to be known as the "Capital of the Flower" in 1964. 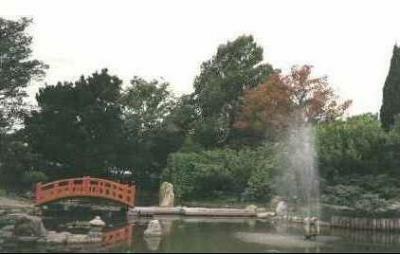 The name that Escobar earned motivated the creation of the "Jardin Japones" (Japanese Garden), which was donated by the Japanese community. The District's name is "Belen de Escobar" but since the trainstation is only named Escobar, this is what everone has started calling it.